After a short delay, one of the last Black History Month sneakers of 2015 in the Nike Air Force 1 Duckboot ‘BHM’ is available now at Eastbay and Nike Store. While many of the other shoes in the BHM collection have small touches the black and white print, this Duckboot goes all out with the pattern all over the upper. While the outsole is translucent blue, it is made for all conditions with boot tread. 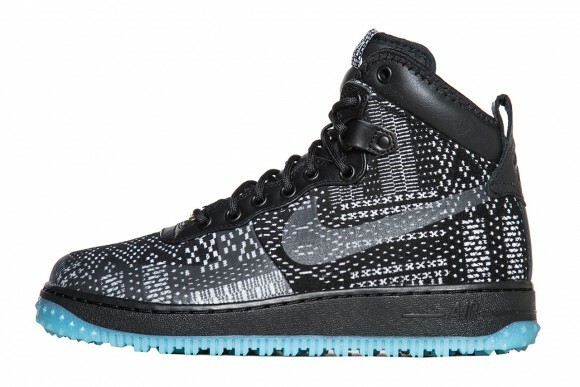 You can purchase the Nike Air Force 1 Duckboot ‘BHM’ now for $175 at Nike Store and Eastbay.